"2 Row barley, torrified wheat, oats, both roasted and chocolate malt and a generous portion of dark caramelized candi sugar. The silky mouth feel is a great balance to the roasted character, coffee and dark chocolate notes expressed throughout this beer." Lots of gas and a loud pop behind the cork on this one. Guess what colour it pours. Brown? Noooo. Blue? Noooo, that's that Japanese beer. It's black, of course! Well, when the glass is full it is. In small amounts, it's dark brown. The head is modest, creamy, and tan.There's some light lacing on the way down. The smell is unique and familiar at the same time. There are stout hallmarks, but also some strong Belgian traits, too. It's a unique blend of brown sugar, licorice, yeast, some light chocolate, and a bit of spice. By the third and fourth sip, its other traits start to build and really come out. This brew is a lot more than just a solid stout. Sure, there are roasted notes, oats, caramel, and chocolate. Then, there is that lightness and tingle on the sides of your tongue - it's like the feel of black licorice without most of its taste. That feel as well as the dry feel and aftertaste of coffee and the sugar are what linger. Feel-wise, it's as-advertised. Pretty friggin' silky-smooth. The finish is slightly sticky at first, then fairly dry and airy due to the hops / bitter coffee traits. The carbonation is light and just right - in the background but enhancing. This is an excellent beer. Fanfrickentastic, even. 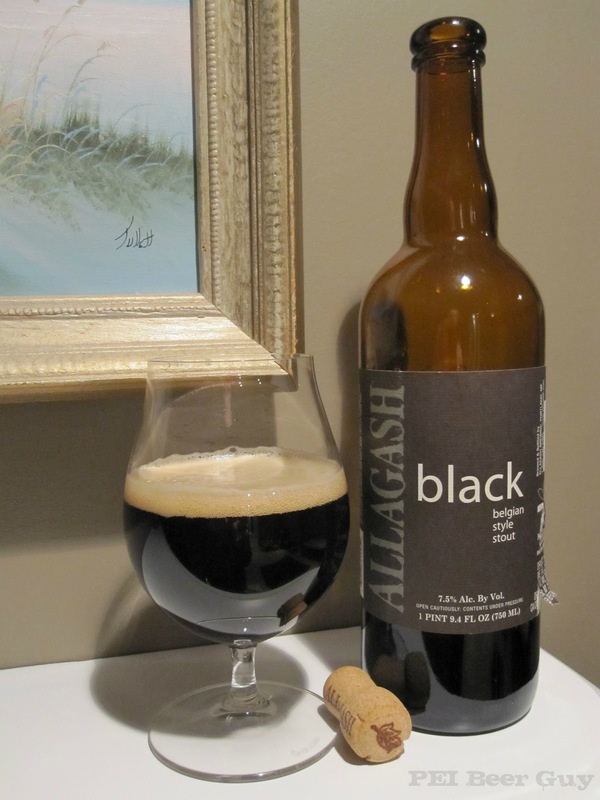 I wish I had ready access to it as well as Allagash's other brews. Oh well. At least I got to enjoy this one. Thanks, Anthony! Love to try it that way some time... along with any other Allagash offering!